RESNET was formed in 1996 to set the standards for quality in the energy efficiency assessment industry. It adopted the Rating Standards of Practice and Code of Ethics to ensure that clients of rating services receive accurate and unbiased information on a home's energy efficiency. Every RESNET member is obliged to adhere to the RESNET Standards of Practice and Code of Ethics. The RESNET Home Energy Rating Standards of Practice guides home energy raters and auditors in the inspection and testing of a home's energy performance. The Standards of Practice were adopted by the RESNET Board of Directors to help clients of rating services understand what is and what is not required in a home energy audit/rating. RESNET's Rating and Home Energy Survey Code of Ethics stresses a home energy rater/auditor's obligation to present accurate and unbiased information on a home's energy performance in a professional manner, and disclose any potential conflicts of interest. RESNET considers adherence to the RESNET Code of Ethics so important, that the RESNET National Home Energy Rating/Auditing Standards require the Code of Ethics be attached to every agreement between raters/auditors and their providers. In other words, every rater/auditor must sign an agreement attesting that they have read and agree to abide by the RESNET Code of Ethics as part of their professional certification. RESNET Rating and Training Providers are responsible for insuring that their certified raters and auditors abide by the Code of Ethics and have a progressive disciplinary process in place to deal with violations. Alleged violations of the Code of Ethics by a rater or auditor should be reported to the provider according to the provider's complaint process. 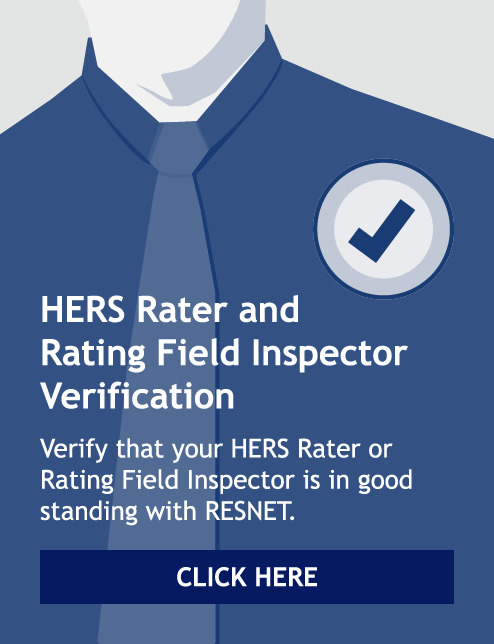 If the complainant is not satisfied with the result of that process, complaints may be filed against the accredited provider for failing to enforce the ethics code with their certified raters/auditors with RESNET’s Executive Director. If the alleged violation is against the provider, the complaint should be filed directly with RESNET’s Executive Director by completing the online complaint form at RESNET Code of Ethics Complaint. Requirement that the rating provider take steps to correct the problem. Recommendation of sanctions to the RESNET Board under Section 109 of the RESNET Standard. All parties involved in the complaint shall be informed by registered mail of the Ethics Committee's action. All complaints, responses and supporting documentation shall be handled in strict confidence by the RESNET staff, the Ethics Committee, and the Board of Directors. Selecting the right home energy professional is critical. RESNET rater/auditor and rating/training provider members are dedicated to quality and ethics. They have met RESNET's rigorous standards and subscribe to RESNET's Standards of Practice and Code of Ethics. Membership to RESNET shows the member's commitment to quality.